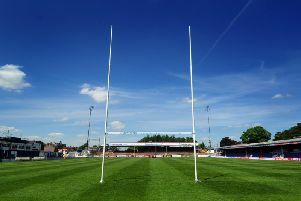 Featherstone Rovers chief executive David Longo launches a new Canadian partnership. Featherstone Rovers are pleased to be working in partnership with Toronto Wolfpack, The Systems Link and CIVICSavvy, in order attract fans to the Easter Monday fixture between the two clubs. The match build-up and off-field activities will have a Canadian theme with the intention of welcoming Canadians who are based in the UK. The 2018 Betfred Championship season saw Featherstone Rovers become the first club to win against Toronto in Canada and when the Rovers hosted the Wolfpack at the LD Nutrition Stadium, the match was attended by 3,131 passion driven fans. Featherstone Rovers chief executive Davide Longo said: “We’re delighted to have entered into this partnership with The Systems Link, CIVICSavvy and The Wolfpack. “After two historically significant meetings last year, we’re hoping to create more memorable moments for the supporters of both clubs in 2019. He added: “The Wolfpack were great hosts when we visited Canada and we want to ensure we offer the same hospitality at the LD Nutrition Stadium. The Systems Link Managing Director Sandy Domingos-Shipley and CIVICSavvy Principal Jennifer Gordon are both UK based Canadians and Global Ambassadors for the Wolfpack. 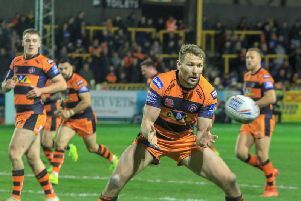 After enjoying the atmosphere at the LD Nutrition Stadium in the 2018 Good Friday clash between the two teams, they decided to get behind this year’s event as match sponsors. Tickets for the match between Featherstone Rovers and Toronto Wolfpack are available now.